Imagine a palm oasis canyon in a remote area of the Baja desert; Cool springs that feed the lush landscape with huge boulders & cliff diving waterfalls. With each campsite featuring it’s very own custom hot springs tub. This place was a paradise 20 years ago, but is now over-developed w/ large groups, parties and camping families. If you can handle the 30+ miles of unimproved dirt roads, this spot is worth a visit mid-week. Winter months are prime time to visit the desert. Temperatures are moderate, days are pleasant & midweek has minimal tourists. 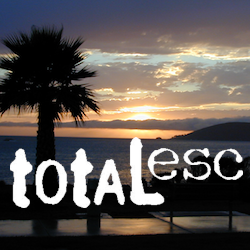 Avoid holiday weekends as crowds a can get rowdy and disrupt the peaceful setting. Summer is triple digit heat for months. This canyon is hard to reach and inside a third world country, but well worth the distant journey. Plenty of great hiking and petroglyph canyons, cool pools and waterfalls, granite boulders, soothing warm waters & gorgeous desert scenery. Summers are usually roasting out here, so plan your vacation accordingly. Palalpas (built for shade) add to the charm & unique look. Each campsite is unique & has a different lay out. Reservations are recommended. 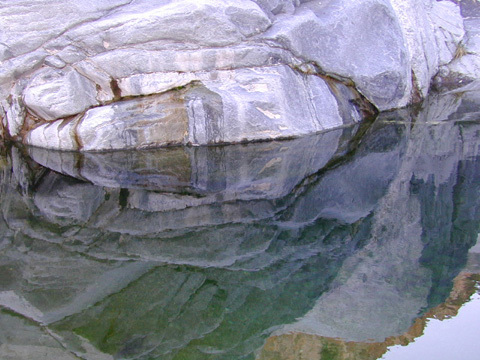 A family run set of campgrounds within a steep palm canyon. 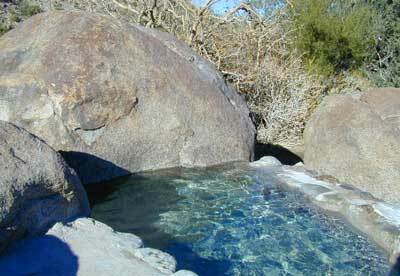 Hot Springs are piped to individual pools at each campsite for a maximum of privacy. A cold creek runs through the canyon as well, feeding the palm grove below & waterfalls way up canyon. A desert oasis set upon the slopes of the Sierra Juarez Mountains in Baja. Recommended high clearance vehicle, sport utility vehicle, or truck. 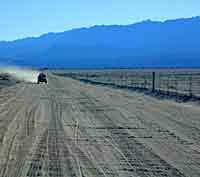 The last 35 miles of the trip is through rough & rugged sandy roads.